With the invention of ‘summer’ in Britain in July 2013, there has begun a marked change in behaviour among the inhabitants of the country, particularly in the capital town of London. People are putting away thick woollen clothes, and even removing more than is necessary as they flock to London’s green spaces. Shoes are being traded for non-existent footwear called flip-flops and where once legs were covered from hip to ankle, some enterprising individuals are cutting these off at the knee into things called ‘shorts’. Eating habits are changing, too, as the mercury rises and with that restaurants are starting to cater for ‘summer menus’. 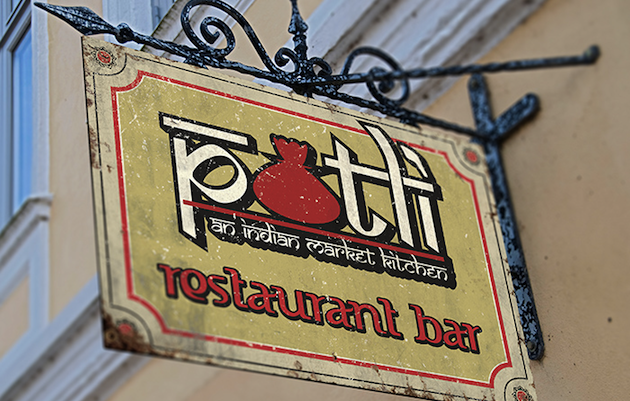 One such establishment, married to the nation’s insatiable appetite for Indian food, is Potli, renowned for signature Calcutta cuisine in West London. We’ve been before and with chef Jay Ghosh’s principles of keeping indigenous north eastern Indian cuisine true to form – rather than customising it for British palates – with the odd irresistible flair of inventiveness, it’s no surprise that we bundled over at the opportunity to try their new offering. Outside, soaking in the evening balminess might allow you to prime your tastebuds with tangy sweet potato shakarkhandi with fresh pomegranate and coconut, and bite-sized lentil-batter mangodi dumplings, braced with a cooling fresh mango and mint ‘mocktail’ or, for something a little naughtier, their Tamarind and Basil Martini – a perfect introduction to a summer feast. With palates suitably piqued, a run of starters off the griddle include house specialities of spiced potato and crushed green pea patties fried and rolled in crisp vermicelli, and lamb shammy kebabs seasoned with cinnamon and mace. Jay also gets into his stride introducing the suitably named ‘Drums of Heaven’, chicken wings, lollipop style – an improvised Hakka-style Indo–Chinese inspired dish. New to us, these are in fact extremely popular across the streets of India and indicative of the fusion of influences that go into traditional Indian fare. 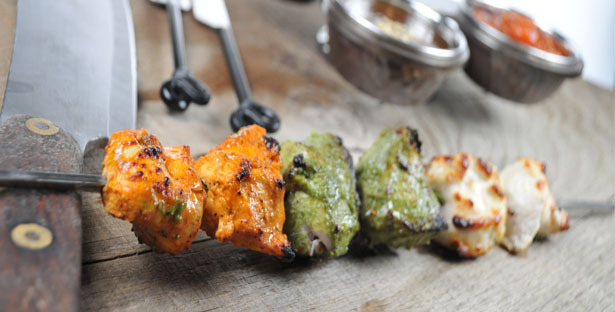 But, undoubtedly, the highlight of these innings’ openers come from the Aminabad tandoor; a combination of three chicken tikkas marinated, respectively, in masala (spiced yoghurt), malai (cream and cheese) and hariyali (mint and coriander). Served with mint-coriander and sesame dips, they are absolutely divine. As summer menus go, you’d be sated on that lot alone. But, as the sun goes down, taking the edge of the warmth with it, it’s more than matched with the mains: Hyderabadi kaachi biryani, salan, rattan manjusha kofta and pindi channa. Got that? I’ll explain…a slow-cooked mutton kaachi-style biryani cooked dum phukt, that is to say it’s sealed so that the steam circulates in the pot, tenderising the meat, the influence of Hyderbad specialities of rose water and saffron seasoning the dish. It’s served with lashings of salan, a rich sesame, coconut, peanut and yoghurt gravy giving it plenty of moisture and still more flavour. The kofta is another house speciality and a delightful vegetarian offering, made up of paneer and shredded spinach dumplings stuffed with a selection of nuts laced with jaggery, simmered in a creamy tomato sauce, delicately flavoured with cardamom. Complementing these, pindi channa; chickpeas simmered with tea leaves and tossed with onions, garlic, chillies, coriander and amchoor, a dry mango powder. 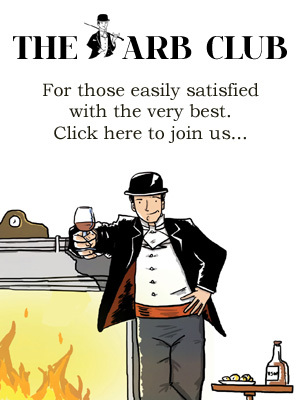 And what to drink with such a complex array of flavours? Well, Indian wine, naturally. Yes, you read that right. 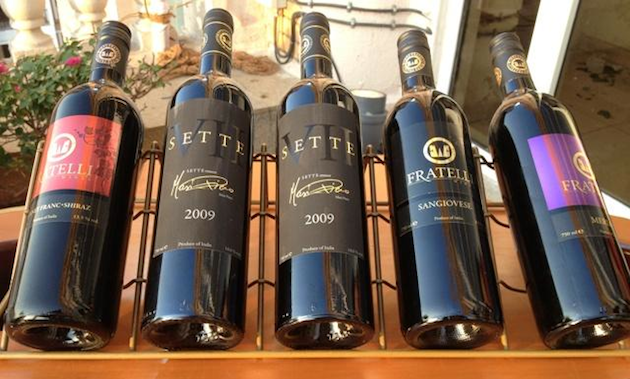 It’s not well known here but the Fratelli vineyard – being Italian for ‘brothers’ – so named for the three pairs of brothers (one Italian, two Indian) who have combined the skill of Italian wine-making with the ripe terroir offered in the plains of the Pune region in India. On offer, the Chenin Blanc, with its fresh fruit and floral notes, straddles the subtleties of the chicken tikkas, and the Shiraz, with pepper, rich plum and smooth tannins marries with the lamb biryani and sees one through to the meal’s conclusion. One might call it an Indian Summer, but rather than flower considerably later than one might have hoped, this is one that’s here right on time, and long may it continue. And the weather, for that matter. 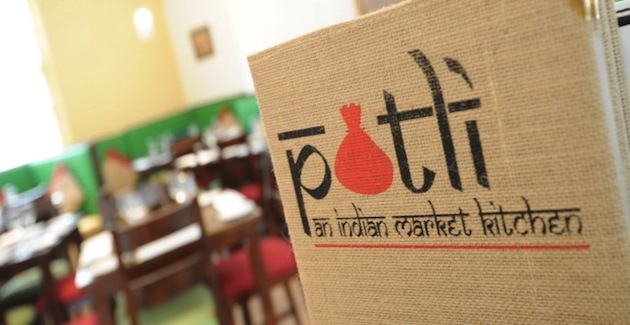 The new summer menu at Potli, 319-321 King Street, London, now available. For more further details and to book a table, call 020 8741 4328 or visit the website.